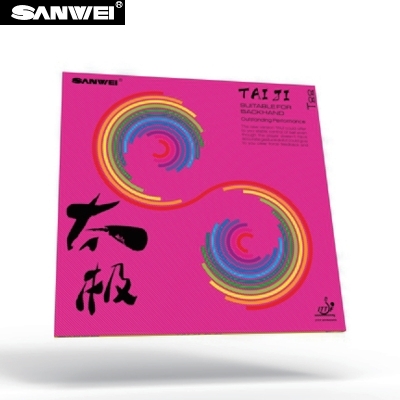 **Sale 40% Off** Sanwei T88 - Taiji Plus table tennis rubber. 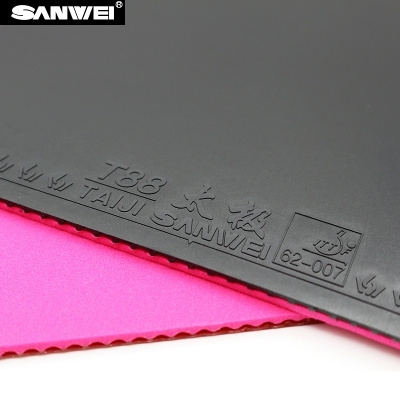 Produce by Chinese brand Sanwei the new Taiji Plus rubber emphasis is on control. Combination of Japanese type distinctive pink sponge with Chinese type spiny topsheet. Recommended for the classical all-round table tennis player who requires lots of control and spin from their rubber. Recommended for all-round players, blockers, counter attakers and defensive players.